A Christian woman in Central Asia has shared how she refused to deny Jesus Christ even after her Muslim husband threatened to take away her child unless she converted to Islam. After she opened up about her faith, however, things drastically changed. 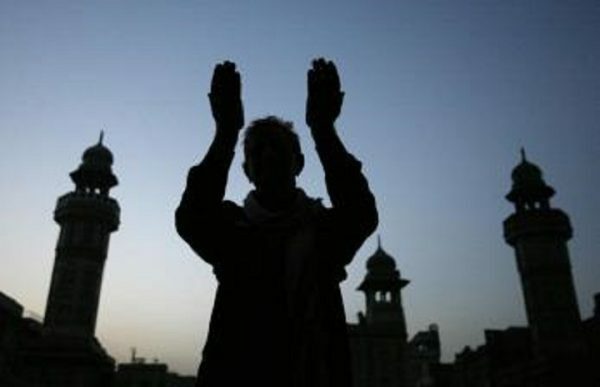 The couple moved closer to Rashid’s parents, who began to pressure Sameda to return to Islam. Soon, Rashid himself started pressuring his wife to reject her faith, even beating her several times while she was five months pregnant. After she gave birth to their daughter, the pressure only got worse. One day, Rashid delivered an ultimatum: reject Christ or face divorce and lose your child. Still, Sameda refused to deny Jesus. Rashid kicked his wife out of the house, forcing Sameda and her young daughter to flee to her mother’s home in the city. Today, Sameda and her baby live in a small room in her mother’s house, where she still faces pressure from the local community to return to Islam. In the next couple of months, Sameda’s ex-husband will attempt to take her baby, reports Open Doors, as men are usually given custody after a divorce. With no money to pay for legal defense, Sameda is relying solely on God to defend her. In addition to providing Sameda with prayer and encouragement, Open Doors has secretly given her necessities like a baby stroller and groceries. The persecution of Christians runs rampant in some former Soviet states; in fact, Open Doors International listed Uzbekistan, Turkmenistan, Tajikistan, and Kazakhstan on its 2016 World Watch Listof the 50 places where it is most dangerous to be a Christian. Ranked 15th on the list, Uzbekistan is the most persecuting country in Central Asia, and in the Republic of Azerbaijan, (34th on the list) Protestants are considered “extremists.” The country also has many “prisoners of conscience” who are Christian, Muslim, or other religions.